Conference Board of the Mathematical Sciences (2012). 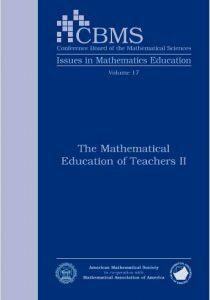 The Mathematical Education of Teachers II. Providence RI and Washington DC: American Mathematical Society and Mathematical Association of America. The full text of the book is also available on-line below and may be downloaded in pdf format.